sufficient amount of plausibility added to disguise the misleading [never verified] facts. keep the masses “informed,” while still very much uninformed. overly covered, while the other receives coverage but with elite-imposed limitations. of gold as a means of measured wealth and replaced it with the Rothschild House of Paper. America has never been the same, since. entire US government, without ever exposing their “hidden hand” directing everything. banks ceased to exist, reminiscent of the cuckoo bird. rid of any remaining eggs, and also push out any other newly hatched other-species bird. cuckoo bird of the financial world. insidious establishment of the Federal Reserve central banking system. Can you eat Federal Reserve Notes? Do Federal Reserve Notes earn interest, anymore? China and Russia to ordinary people who are buying as much gold and silver as possible. Ponzi scheme come unraveled, which it is now doing. theft has been employed via CIA-led or sanctioned operations, like Libya, Ukraine. leaving worthless fiat and economic destruction behind. power this handful of people have. reactive, clearly demonstrating the elites know no other way. desperation that the end is near. system now closer to collapse than ever before. know or care, not to be cavalier, but instead from a position of comfortable preparation. not a day too late will have paid off. There has not been any large move lower since important support was broken 6 weeks ago. is still no indication that a bottom is in place. support, and it is far from retracing to the half-way area, 19 area, of the last swing high. There should not be any expectations for much upside, at this juncture. not matter because the risk/reward factor is not supportive for either side. of longs who are best served being on the sidelines, for now. Gold And Silver Central Bank Death Dance Gold and Silver – Western Bankers [Forced] Bowing To China Gold – A Supressed Market Remains Suppressed, But For How Long? Gold And Silver – They Are Money! 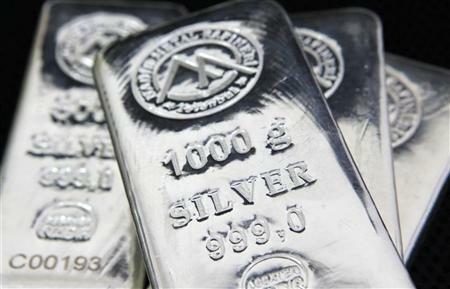 Gold And Silver – Central Bank Manipulation Or Chinese Accomodation? Both. Gold And Silver – Let “Dollar” Collapse Or Choose War. Elites Will Opt For War.